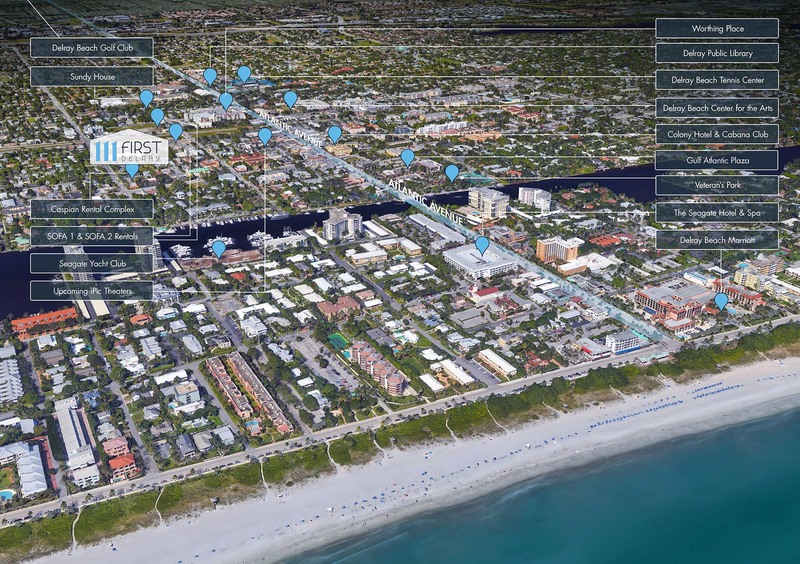 The new Delray Beach condos for sale at 111 First Delray Beach are ideally situated in the up-and-coming SofA (South of Atlantic) district. 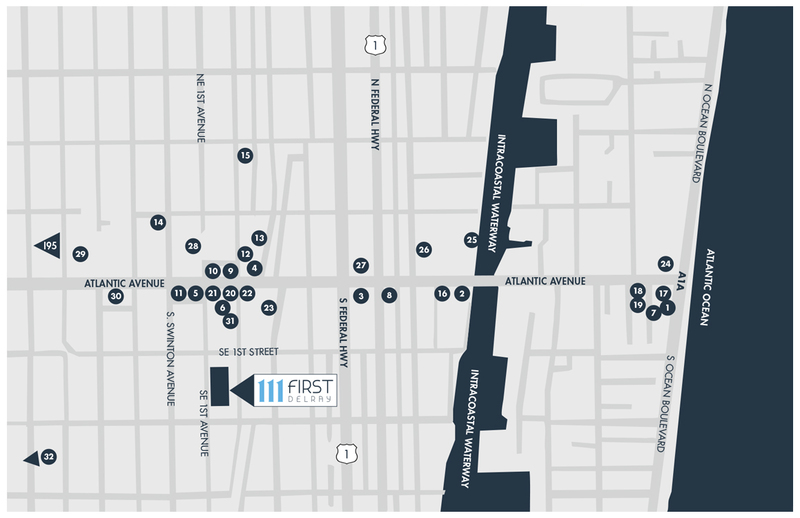 This area, comprising the two blocks to the south of Atlantic Avenue, between Federal Highway and Swinton Avenue, is undergoing a renaissance. Find yourself within arts and entertainment offerings interspersed with countless fine dining establishments, cafés and bars, all within a comfortable walk or free trolley ride to the world-famous Delray Beach.